Early Tax Return Acceptance has recently been reported to us. 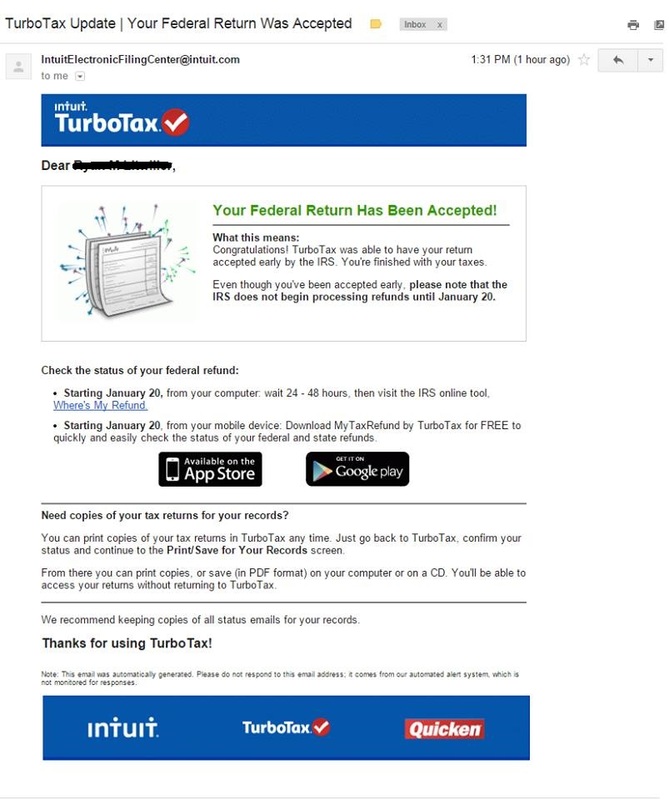 We have had a few of our Facebook followers and website viewers report that they have had their federal tax returns accepted by the IRS already for Tax Season 2016. 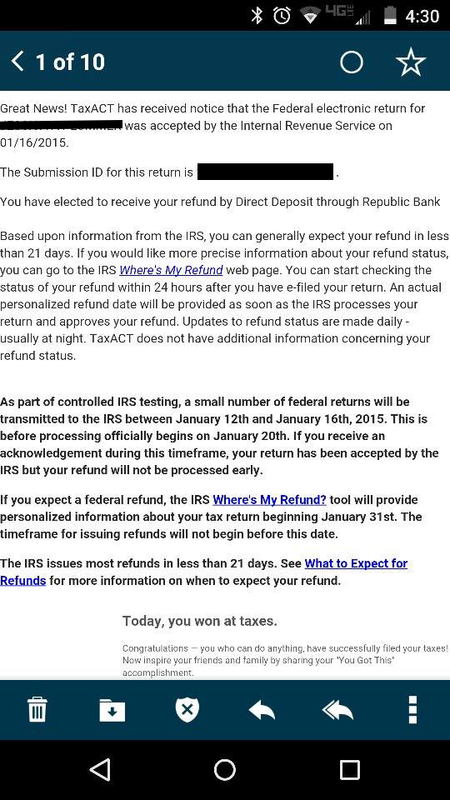 We were under the impression from the IRS that returns would not be accepted until January 19th, 2016. This is great news for those lucky ones. We will update our 2016 IRS tax refund schedule to reflect the lucky few who have been accepted. Feel free to send us an email regarding your tax return acceptance date to give us all some hope. Many individuals might expect to get their IRS Tax Return Acceptance Early, but read the email before jumping to that conclusion. Early Tax Return Acceptance is very common each tax season due to the IRS testing their online e-file processing. We are keeping this very short because none of our accountants or clients have reported this and it is purely from Facebook messages. Our email is Info @ RefundSchedule.com. Send us an email and we will update this post to reflect the email. The Tax Schedule is our helpful tool to give taxpayers a better idea when to expect their tax refunds each year. We do not represent the IRS. We merely keep up with the news and update our Tax Schedule based on it. 2016 Refund Schedule and Tax Refund Calculator are now available. It’s finally that time of the year. We have released our 2016 Refund Schedule and our 2016 Tax Refund Calculator. Are you getting ready for the holiday season and need to see when and how much your 2016 tax refund will be? We have the tools to get your started. 2016 IRS Refund Cycle Chart for Tax Year 2015 is available here. This chart will list all of the days that your 2016 tax refund will be in direct deposited or 2016 tax check will be sent depending on what day your IRS Tax Refund is accepted by the Internal Revenue Service. The latest information is expecting the IRS to begin accepting tax returns January 11th, 2016. We will post more on our website as the IRS releases more information. Our 2016 Tax Refund Calculator for 2015 Tax Year is available here. This will allow you to calculate your 2016 tax refund or find out how much taxes you will owe in 2016. This is only an estimate but it will allow you to plan your 2016 Tax Year. We will continue to post all 2016 Tax Season news here first, so please bookmark us and check back daily for news. Also like and follow us on Facebook, here.